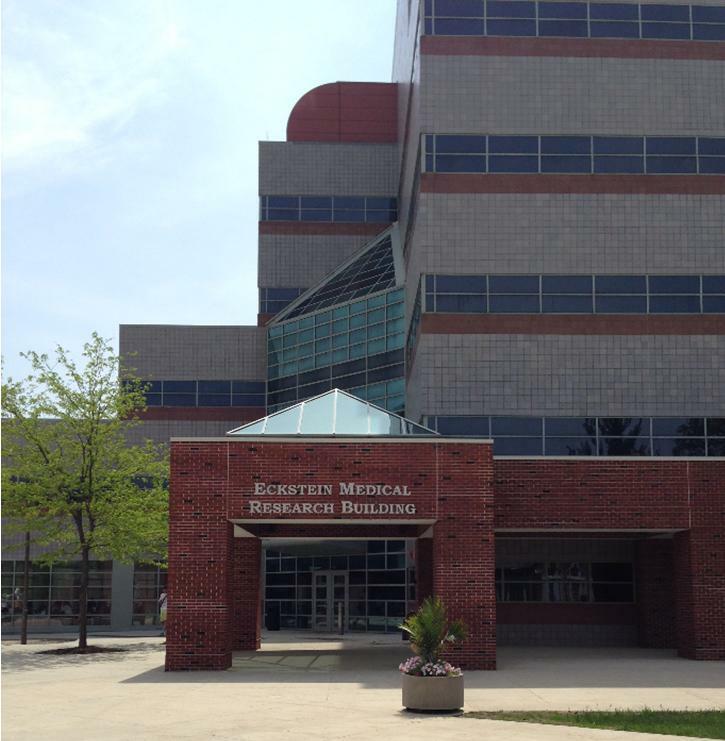 At the University of Iowa's Central Microscopy Research Facility, we provide a wide variety of microscopy techniques for materials and biomedical investigators, an experienced staff, and support for the beginner and experienced investigator. 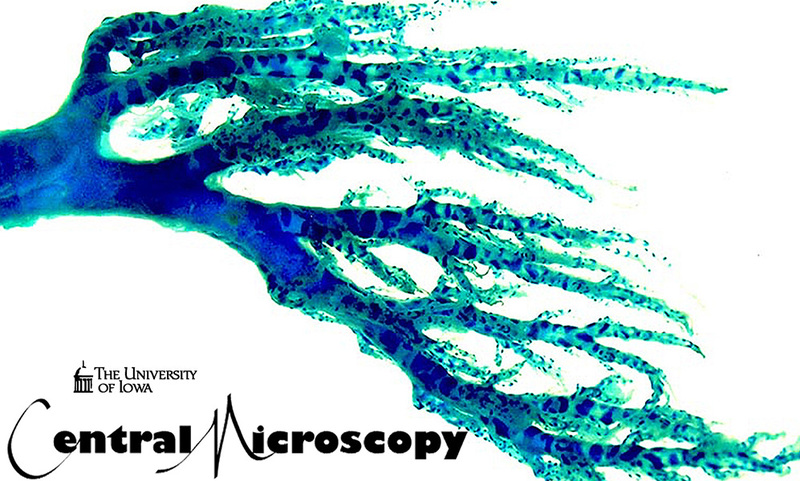 As one of the leading university microscopy facilities in the nation, our microscopy team is ready to support your research program. The CMRF recently installed a Tissue-Tek® VIP® 6 AI Vacuum Infiltration Paraffin Processor. 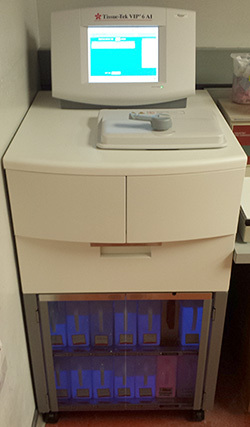 This state-of-the-art system provides reproducible, high-quality processing of histological samples into paraffin. For more information, contact Kathy Walters at katherine-walters@uiowa.edu. The CMRF recently upgraded the Leica SP8 Confocal/STED microscope with FRAP and FRET software. The new modules use a “Wizard” format to guide you through configuration and data collection. FRAP and FRET software guides can be found on the SP8 website. High-end Workstation installed for Imaris 3D and 4D Real-time Interactive Visualization and Analysis Software. Imaris Measurement Pro: Shape, size and intensity-based quantification. Imaris Track: Imaging, tracking and motion analysis of live cells and moving objects in 2D and 3D. Imaris Filament Tracer: Automatic detection of neurons (dendritic trees, axons and spines,) microtubules, and other filament-like structures in 2D, 3D and 4D. Imaris Coloc: Quantify and document co-distribution of multiple stained biological components. Imaris Cell: Quantitatively examine micro relationships that exist within and between cells. Imaris Vantage: Compare and contrast experimental groups by visualizing image data in five dimensions as uni- or multi-variate scatterplots. High-Resolution Iridium Sputter Coater Available! The CMRF has purchased a Quorum Technologies 150T ES Iridium sputter coater to support high-resolution SEM imaging. It is capable of producing coatings that are much thinner than standard Au/Pd sputter coating, which can result in higher-resolution images. The QT 150T ES is the ideal coating system for routine imaging above 50,000x. Contact CMRF staff if you are interested in using this instrument. CMRF Staff are available Monday through Friday 8am-5pm and will be happy to assist you! Call 335-8142 or email Randy Nessler for more information.